A collection of monuments on Veterans’ Memorial Green along Washington Street in Middletown honors those who served in the Civil War, the two World Wars, Korea and Vietnam. The west face of the monument lists the battle of Irish Bend. 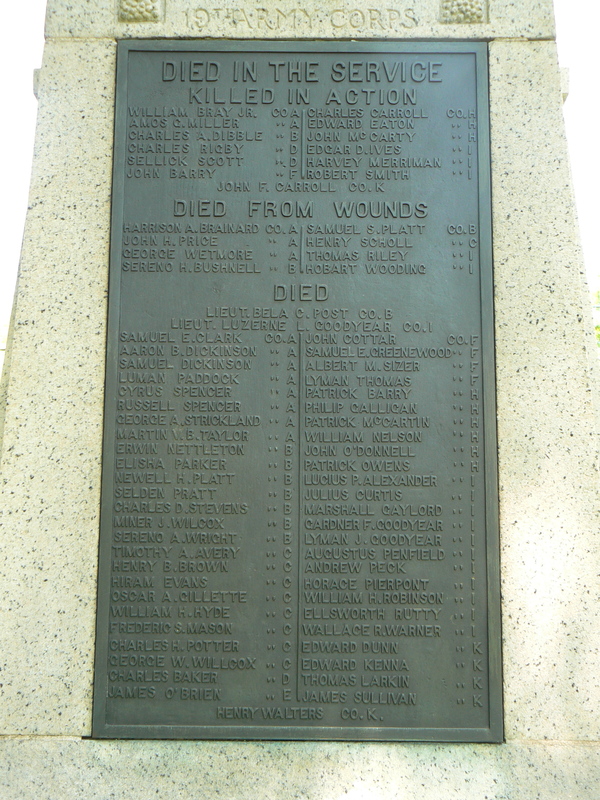 The south face lists the battle of Donaldsonville, and bears a plaque honoring about 75 members of the regiment who were killed in action, had died from wounds, or had died after the war’s conclusion. The east face lists the battle of Baton Rouge. The monument’s rear lists two residents who were killed in Vietnam. 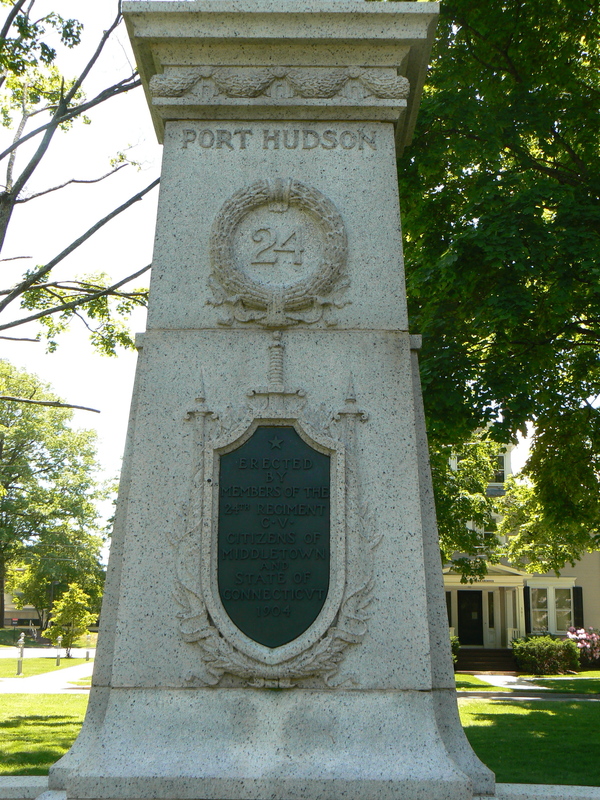 Further east, a tall white obelisk honors 37 soldiers and sailors who died in World War I. A plaque on the south side lists the names of the war heroes, while a plaque on the west side lists the names of seven battles. The rear bears a bronze plaque with three columns listing residents who were lost in the war.